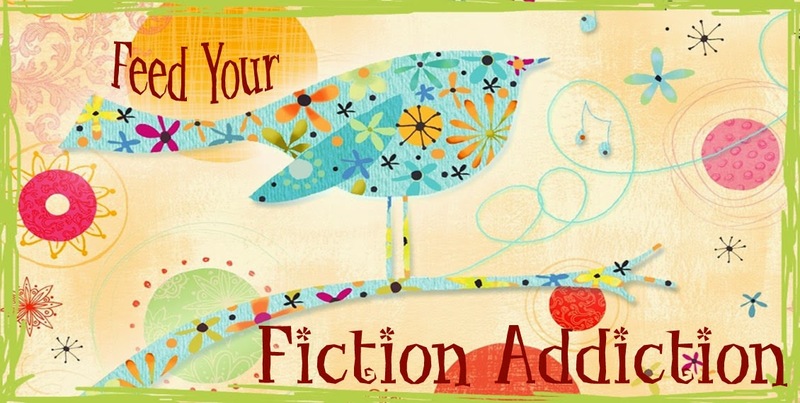 Summary from Goodreads: Sixteen-year-old werewolf princess Ashling Boru is different from other wolves—she was able to shift to wolf form at birth. Rather than bringing pride to her family, it brings fear, and as a result, she is forced to live in seclusion in Ireland’s countryside. Ashling’s reputation is further blackened when she refuses her betrothed and defies the ancient laws. When her pack’s oldest rivals begin hunting her, she finds herself in the small town of York Harbor, Maine—far from everything she’s ever known. 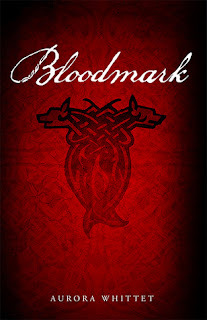 Bloodmark was a little difficult for me to rate because I thought it started out really promising, then it lost me for a bit in the middle, and then picked up again at the end. The story centers around Ashling, a werewolf princess who is struggling to escape the suffocating traditions of her immortal (and therefore, very old-fashioned) father. Still, even a life with a man she doesn't love might be preferable to being hunted by the pack's oldest enemy - suddenly, Ashling finds herself swept away from everything she's ever known in order to escape a certain death at the hands of this enemy. She is hidden away in a little town in Maine where she finds the love of her life - the only problem is, he's a human and his family has its own secrets - secrets even he may not know. Insta-love. The main reason that this book lost me in the middle was because of the dreaded insta-love. Ashling and Grey bond immediately and fall hopelessly in love. Apparently, this is normal for werewolves (at least with Whitett's werewolves), but that explanation didn't make it much more tolerable for me. We didn't really get to see a relationship develop between the two main characters, so I wasn't incredibly invested in their romance. Then, just as I was just starting to actually like Grey and Ashling together because the romance had been built on a bit, Grey chose to turn his back on Ashling (pretty easily, I might add) - the conflict just felt a bit too manufactured and I didn't buy it any more than I'd originally bought the romance. It wasn't until the conflict was resolved in the last quarter or so of the book that I really started to believe in Ashling and Grey together and root for them. That's also when the action picked up and the book got much better again! Family conflict. The beginning of the book really captured my attention because of the family conflict and Ashling's rebellion against the werewolf traditions. Ashling's father is the king, but he has never shown an ounce of interest in his daughter - until the day he gives her away to a man she's never met. Needless to say Ashling isn't thrilled with her betrothal, and she is even more unhappy about her father's rejection. Ashling spends much of the book rebelling, but also looking for approval from a father she can't please. When her mother and brother get pulled into the conflict between Ashling and her father it becomes even more interesting. The family drama takes center stage at the beginning and end of the book, which is one reason why I thought these parts worked best. Grey's conflict with his own father also plays a big part in this book and I thought that Whittet did a great job with this part of the book as well. Family love. While the conflict between Ashling and her father was compelling, equally compelling is the love between Ashling and her mother and brother. I loved that the bond between them was so strong - and that her brother protected her fiercely no matter what the circumstances! Werewolf lore. I enjoyed the werewolf lore in this book and the centuries-old conflict between the werewolf clans. Whittet did a great job setting the stage for future books as well and I am looking forward to learning more about the world that she has created. Bloodmark was an intriguing YA paranormal novel with a compelling main character and a great story! The only mar for me was the romance - it depended a bit too much on insta-love and that I just had a hard time buying into it. Like I said, I had a difficult time rating this book (I was debating between 3.5 and 4 stars), but I finally settled on 3.5/5 stars.